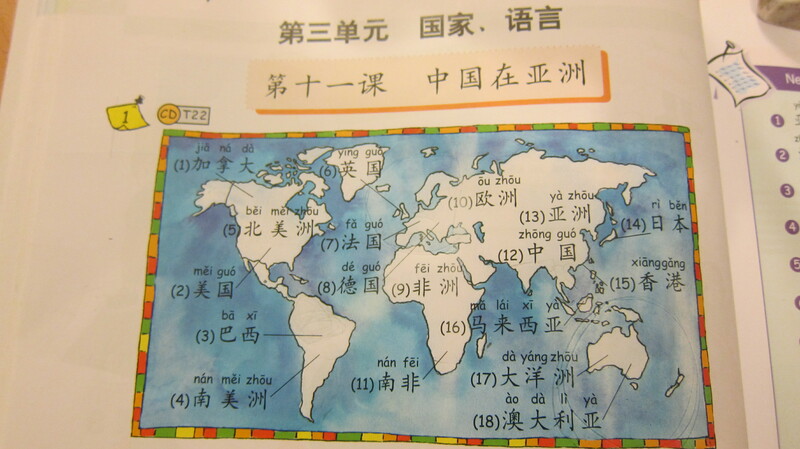 The number 8 arrow in my Chinese book says it’s pointing to Germany 德 国. The number 8 arrow is pointing to Austria, not Germany. Germany is the bigger country to the north of Austria. You can find out where Germany is by finding the sticky up bit on the European map (Denmark) and to the south of Denmark is Germany. Mistakes like this in other situations are much more serious. DO NOT MESS UP IRAN AND IRAQ! THEY WILL NOT LIKE IT!!!!!!!!!!!!! Uh-oh. England is a part of the United Kingdom of Great Britain and Northern Ireland. England is where I live, Scotland is where my uncle is from. They may be different but they’re still the same country! Yesterday, my mum asked me to do this exercise. I instantly found some errors. Oops. For starters, technically there is no such thing as a fish. The answer for No2 should be ‘fish’. However, “fish” is just a term for water-based animals. There are cartilaginous “fish” like sharks and rays, bony “fish” like most “fish” and jawless “fish” like lampreys. For seconders, in No5, the answer is supposed to be ‘country’. Let’s get this straight. GREENLAND IS NOT A COUNTRY!! It’s the biggest part of Denmark. Denmark has said that Greenland can be independent, but Greenland haven’t got round to declaring their independence yet. In losing Greenland, Denmark will lose their biggest chunk of land. Still, another competitor for the Olympics! You should write to the publishers! Otherwise these things will never be fixed. I’ll join this club of nitpickers. 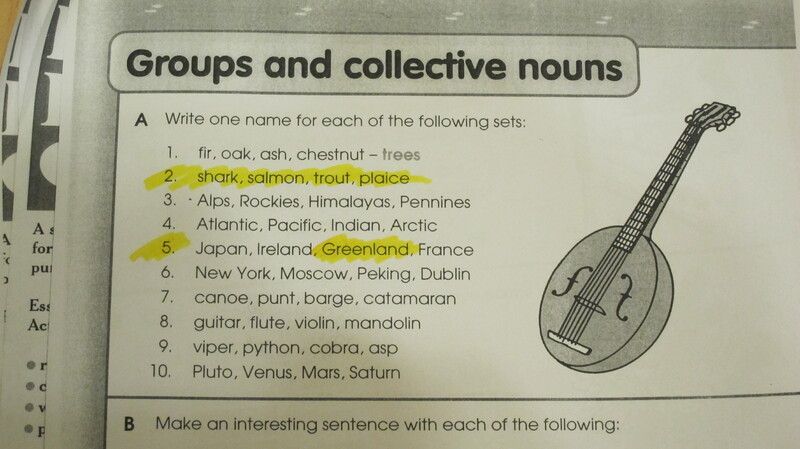 I know that a shark isn’t a fish. Also, am I right in thinking that the queen is the Queen of England and, separately, the Queen of Scotland? Just by coincidence that it happens to be the same person. I think the Queen is just the Queen of the United Kingdom, not England and Ireland separately. 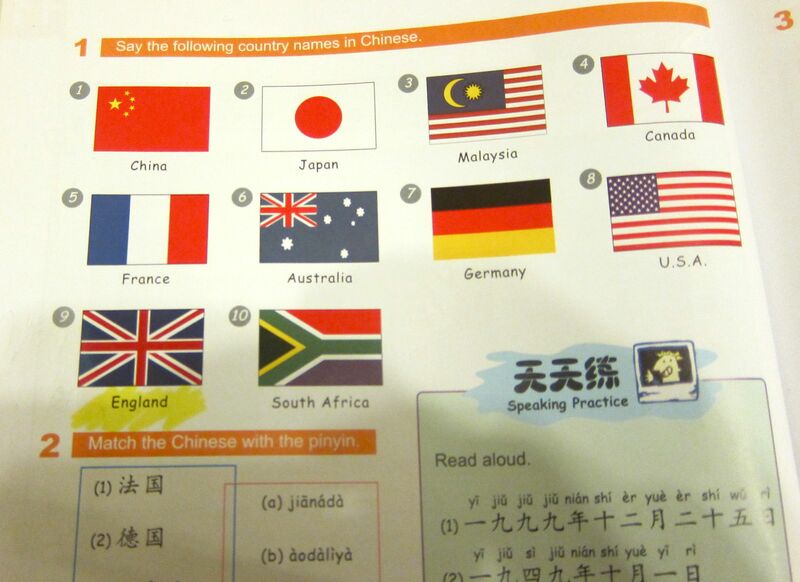 A lot of Chinese people don’t know the distinction of England and the UK, so it’s not a surprise that this book made a mistake like this. I’ve just found a lovely image about the difference between the UK, Great Britain and England. You can see the lovely image here: http://janetscraft.files.wordpress.com/2013/01/whats-the-difference.jpg. I found this image on this blog:Britrish.com. 1) England, Scotland and Wales are regarded as separate countries by quite a few organisations, including FIFA, the International Rugby Board and the Commonwealth. More importantly, it is also regarded as a separate country by ME – otherwise I would have to describe myself as British and not Welsh. They may all be parts of the same union, but they are still distinct countries.Your book was wrong in that the flag it showed was that of the United Kingdoms and not of England. (eg) Latvia stop being a country when it was invaded by Russia or did it remain a separate country within the Soviet Union? Also I’ve heard that Scottish and Welsh people don’t like being called “British”. For the Greenland thing, it raises a point that I was thinking of. On the Geography page of my school, it has a video of the countries of the world made ages ago which mentioned Greenland as a separate country. BUT raising your point about Greenland becoming part of Denmark in the 50’s, the video mentioned Germany being in one piece (after the Berlin Wall) which fell apart in 1989 which means Greenland should have been part of Denmark.